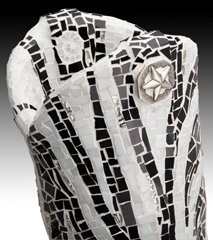 Joni Carr goes wild with these mosaic sculptures inspired by the animals of the African plains! 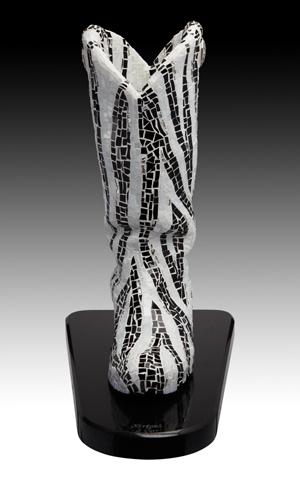 Mounted on matching and symmetrical granite bases that combine to form a beautiful and impressive wedge of unique sculptures. 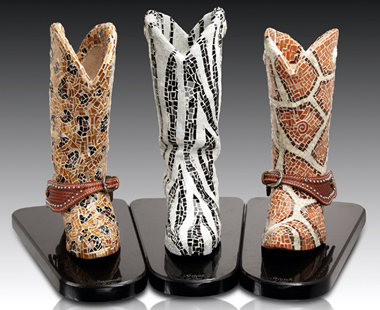 Each is carefully formed on a used boot to preserve the wrinkles that their owners gave 'em. 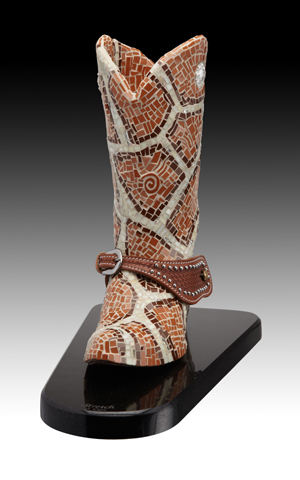 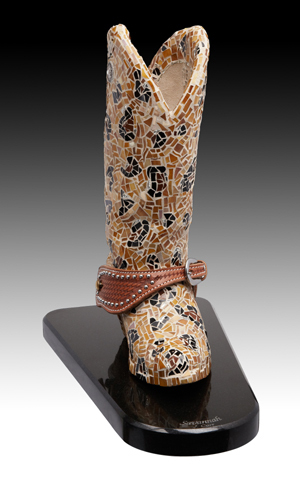 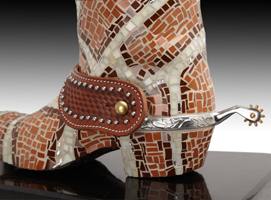 Silver buttons and spurs add some shine amidst the sparkle of the glass mosaic.